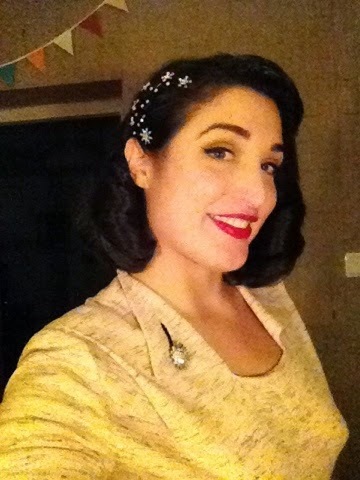 Milan of Hawaii: Burlesque Night! 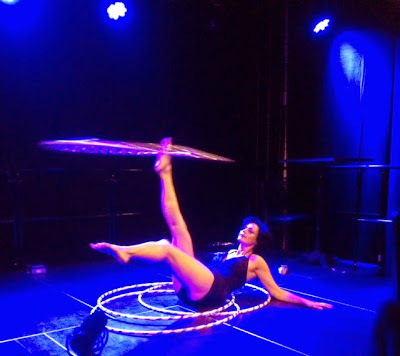 Last month I went to a burlesque show for the first time! I was really excited as I'd heard so much about these shows, but just never had the opportunity to see one. 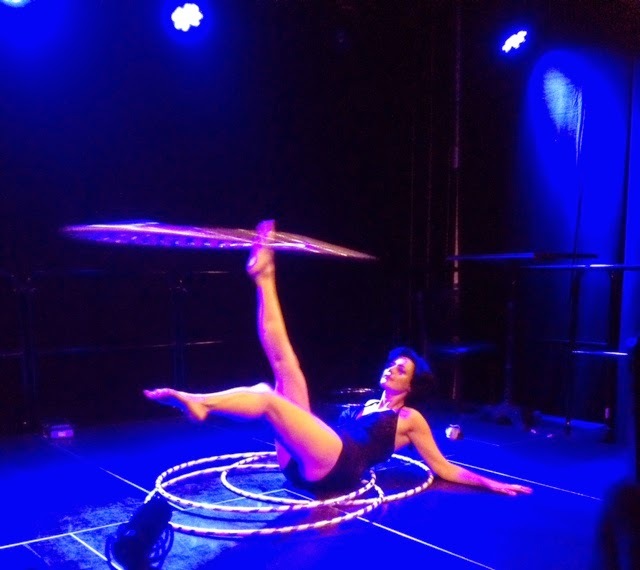 Luckily for me I'm friends with some very creative Danish ladies across the Sound over in Copenhagen, and one of them, Miss Mia (Denmark's hula hoop queen!) was producing a burlesque show starring the American group Cabaret New Burlesque. Finally, an excuse to bust out this beauty! 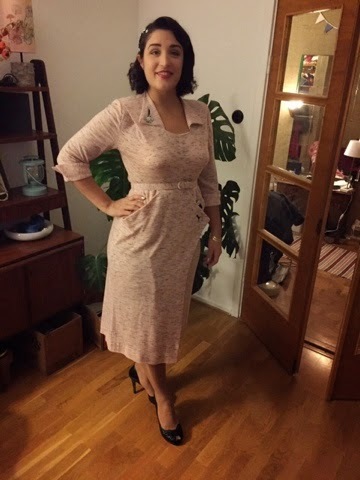 A 1950's pink and black knitted wiggle dress with rhinestone buttons! I snapped this one up from Portland, Oregon's Xtabay Vintage on Etsy. 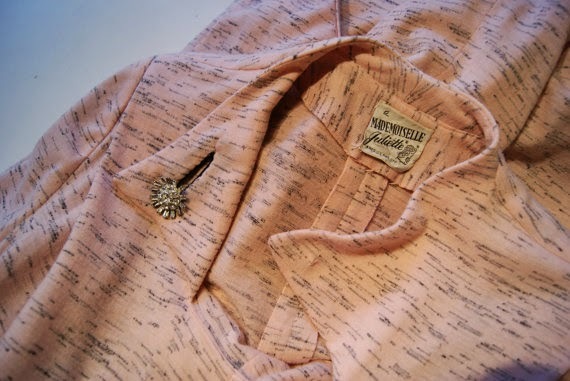 And the tag is adorable - "A Mademoiselle Juliette." 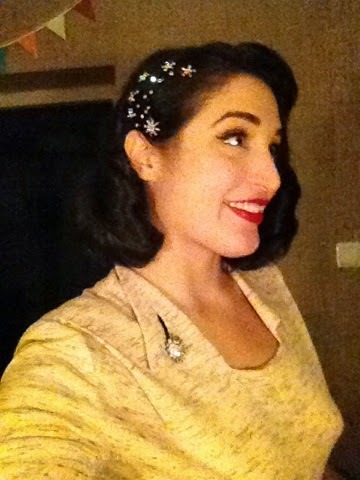 I had a vintage hair clip that my mom gave me that was just perfect for this outfit. 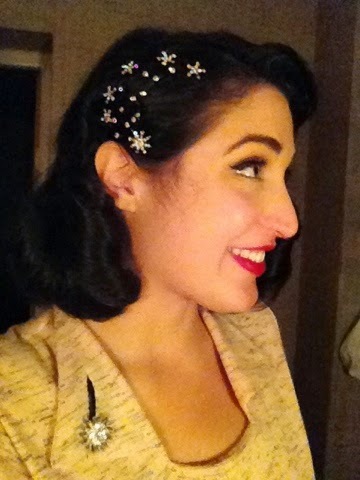 I mean, what goes better with burlesque than copious amounts of sparkle? Thanks mama! And then I was off to Copenhagen! The show was just as sparkly and jiggly and fun as I had expected. The coolest act was probably the one where a girl gradually crawled into an already inflated balloon. There was even a male performer who stripped while riding a pogo stick! 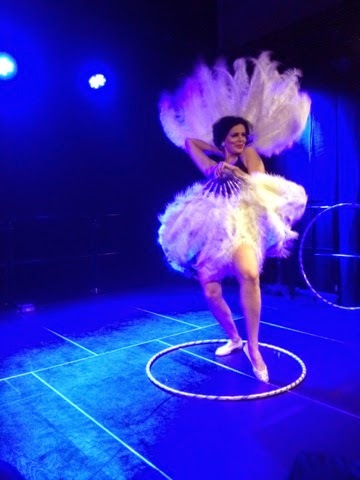 I didn't get photos during the show in that dark theater, but I did get a few snaps of the after show, where my friend Miss Mia performed an awesome hula hoop number. Here she is in action! 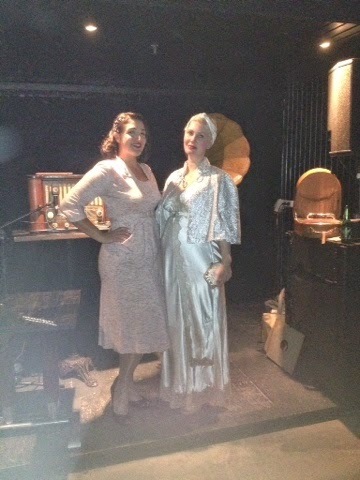 An after-show photo op with my friend, the ever-sparkly Pia of Storms Magasin, next to the cutest little radio and victrola set up by the dj booth. 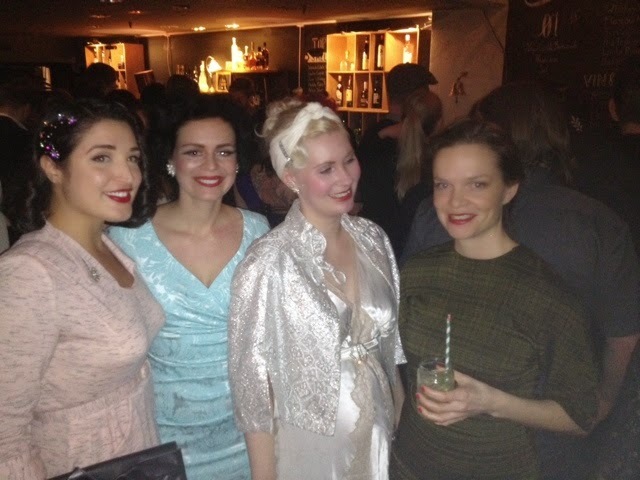 And finally I wrapped the night up with some cocktails with these glamorous Danish ladies: Mia, Pia and Rikke. Thank you ladies for a wonderful evening!